Back muscles have many functions, acting on the arms, spine, and shoulder blades. Building a strong, beautiful back will not only help you look your best, it will help you with a great many functional movements while improving your posture. Back exercises should be a priority for women looking to lose weight. Since the back houses a fairly large muscle group, back exercises burn a ton of calories, and building your back muscles helps raise your metabolism, allowing you to burn more calories even while at rest. Read this article to learn essential information you need to know to properly train your back and get the most out of your back workouts. You will learn basic back muscle anatomy, exercise guidelines and tips, and the best back exercises for women, including videos showing you how to perform each exercise safely and effectively. Jump to the Best Back Exercises for Women or continue reading to learn more. 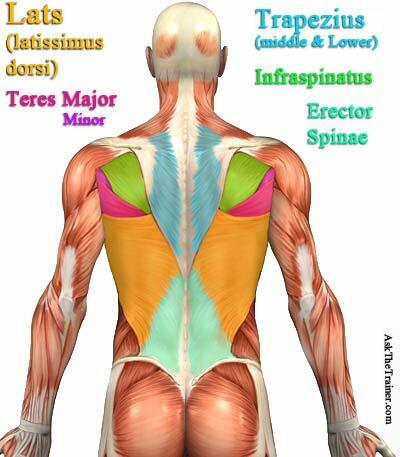 Becoming familiar with the locations and functions of the main back muscles will help you optimize your back workouts. The back muscles we will go over act to move and stabilize the arms, shoulder blades, and spine. The latissimus dorsi, more commonly called the “lats”, is the largest and most well-known back muscle. The lats originate broadly all along both sides of the thoracic vertebrae, the lumbar connective tissue, the lower rib cage, and the crest of the rear hip bone. The lats sweep beautifully across the back into triangular points which insert into the upper inside part of the humerus bones. The functions of the lats include strong adduction of the arm (pulling the arm in toward the body), extension of the arm at the shoulder (pulling the arm back from a frontally raised position), and internal rotation of the arm. 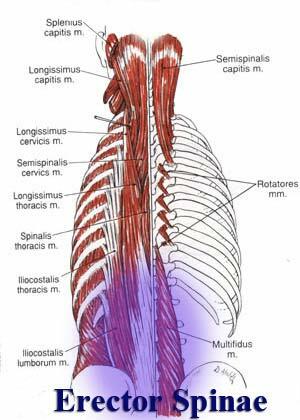 Teres major is sometimes called the “little lat” because it assists in many of the motions generated by latissimus dorsi. When you train the lats, teres major is often along for the ride, meaning that you don’t need to train it separately. A much smaller muscle than latissimus dorsi, teres major originates on the bottom point of the shoulder blade and inserts near the same point as latissimus dorsi. The rhomboids are mid-back muscles which play a vital role in scapular retraction, which means pulling the shoulder blades in toward the spine. Scapular retraction is essential in stabilizing the shoulders and upper back during weight training, and it greatly improves your posture. To get a sense for the location and function of the rhomboids, pull a drawer open and feel what is happening in your back. The best way to train the rhomboids is through back exercises emphasizing rowing, or horizontal pulling. The trapezius (AKA traps) is a diamond-shaped muscle covering the upper and mid back. Its size, different origin points, and diversity of function make it necessary to divide the trapezius into three portions: upper, middle, and lower. The upper part of the trapezius is mostly involved in neck movements, so we will be focusing on the middle and lower trapezius exclusively in our discussion of back exercises. The middle and lower portions of the trapezius are important mid-back muscles mainly acting to retract and stabilize the shoulder blades, synergizing with the rhomboids. The trapezius originates broadly all along the neck and mid-back vertebrae, narrowing to points which insert into the tops of the shoulder blades and collar bones. To learn the best way for women to work the upper traps, check out our article on the Best Neck and Upper Back Exercises for Women. The erector spinae muscle group is comprised of long muscles originating all along the spine and connective tissue of the back and inserting at various points from the mid-back vertebrae to the base of the skull. These muscles work together to extend the spine, or “bend you over backward”. The erector spinae are also important spinal stabilizers during dynamic movement. Most of the best back exercises for women focus on one of two types of pulling motions: vertical pulling and horizontal pulling. You can think of horizontal pulling as any pulling that is horizontal to the body, such as the motion to pull a drawer open or perform a bent over row if you are already familiar with that back exercise. Vertical pulling, on the other hand, is pulling along a parallel line with the body, such as doing a pull-up exercise. When training your back, you must split your time and focus between vertical pulling and horizontal pulling exercises to maximize your results. I will be sure to let you know what type of pulling is involved in each of the best back exercises for women so you can make sure your back workout is balanced. Advanced bodybuilders recognize the importance of including both types of pulling and may even train the different types of pulling on different days as part of a split routine to truly maximize their backs. While we’re on the topic of weight training splits, let’s discuss the best way to work back exercises into your strength training routine. A weight training split just means exercising different muscle groups on different days to allow you to work out up to 6 days a week while allowing each muscle group enough time to recover. Back exercises can be done as part of a full-body workout, on their own day in your split routine, or they can be combined with a couple different muscle groups. If you’re new to weight training, there’s no real need to think too much about splits. Stick with full-body workouts for six months before considering the best split routine. If you’re more experienced at lifting, consider the following split routine strategies for your back workouts: Biceps/Back or Chest/Back. Many bodybuilders choose to work out their back on the same day as their biceps since the biceps already often synergize with the back in both types of pulling. Alternatively, some choose a split routine combining back exercises with chest exercises for women. In a chest/back routine, you are pairing the pullers (back muscles) with their antagonists, the pushers (chest muscles). This strategy allows you to perform antagonistic supersets which minimize your recovery time between exercises, maximizing your time efficiency and allowing you to gain strength more quickly. If you’re new to the concept of sets and reps, please start with our article on sets and reps for a crash course in workout structure. If you don’t understand how to structure your workouts, you may be wasting your time and setting yourself up for injury. When performing the following best back exercises, sets comprised of 12-20 reps should be compatible with the goals of most women. Sets where you fail (feel as if you can’t perform any more reps) within 12-20 reps are best for building strength, endurance, and muscle tone rather than bulk. The volume of weight to use will vary from person to person. The right amount of weight will make you fail within 12 to 20 reps. The best advice is to start on the lower side and add more weight if you discover you can lift more than you thought. Progress slowly to avoid injury. If you would like to add more lean mass to your back rather than focusing on endurance and toning, aim for sets of 6-12 reps, which will require you to use heavier weights to fail within the lower rep range. One set of each back exercise or one or two back exercises will be plenty for beginners. More experienced lifters will likely want to perform two or more sets of each exercise to increase the volume of work done by the muscles. Protecting the spine and shoulders to avoid injury should be your first priority when training your back. If your form isn’t ideal, or you suffer from uncorrected posture issues, back exercises are easy ways to initiate the cumulative injury cycle, which can quickly put you on the sidelines. As mentioned above, the best back workout includes requires you to perform different exercises balancing horizontal pulling and vertical pulling motions. If you add all the best back exercises for women described below into your routine, that’s already accounted for. If you plan to pick and choose just a couple of these exercises, make sure to choose one vertical pulling exercise and one horizontal pulling exercise to ensure that your back muscles are balanced. The final best back exercise for women, the back extension, requires neither type of pulling. This amazing exercise works the erector spinae and other deep spine muscles and should be included in all back workouts as well as core workouts to balance out abdominal exercises. Lat Pull-Downs are the best lats exercise for the majority of women (trumped only by pull-ups for those able to perform them). The Lat Pull-Down machine is found in virtually every gym for this reason, and it’s one of the only weight machines I strongly recommend, preferring free weights for most other exercises. To do Lat Pull-Downs, simply sit on the provided bench, grab the bar hanging overhead, and pull it down in front of your chin (not behind your head as used to be the norm).The wider your grip on the bar, the more work is delegated to the lats instead of the deltoids and biceps. Keep your lower back straight and your shoulder blades retracted to avoid injury. Perform 12-20 reps of Lat Pull-Downs as demonstrated in the first portion of this video. NOTE: If you are able to perform Pull-Ups, feel free to do Pull-Ups instead of (or in addition to!) Lat Pull-Downs. Pull-Ups are an even better vertical pulling exercise than the Lat Pull-Down. Pull-Ups are difficult for many women, but you can definitely work up to them. The best way to build up to being able to perform pull ups is to get a boost to the top and then very slowly lower down unassisted. The boost can come from a spotter or from a stationary object you can push off against with your legs. To learn more about how to build up to pull-ups, read our article on Functional Training for Beginners. Dumbbell Pull-Overs are another excellent vertical pulling exercise. The main differences between pull-overs and pull-downs are that pull-overs require you to lie on your back and that pull-overs work the back, triceps, and chest instead of back, shoulders, and biceps. To set up Dumbbell Pull-Overs, lie on your back on a straight weight bench. The base of your skull should rest on the very edge of the bench, allowing you to look slightly backward. Press your lower back into the bench at all times to maintain spinal alignment. Holding a dumbbell in both hands directly above your chest with elbows slightly bent, slowly lower it backwards until it is slightly lower than the level of your head. Without pausing, slowly pull the weight back over top of your chest. Keep your eyes on the weight to make sure it clears your head on its way up and down. Perform 12-20 reps of Dumbbell Pull-Overs. You can better isolate the lats by keeping your arms as straight as possible. Start with a lighter weight if you choose this variation to avoid overstressing the shoulders. Horizontal pulling back exercises require you to row rather than pull down. Unless you’re an absolute beginner, avoid the rowing machines in your gym and use free weights instead. 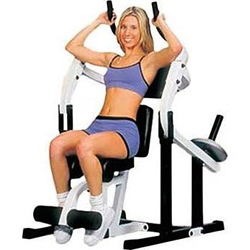 You will gain much more functional strength and core stability since you must support and stabilize your body weight rather than relying on a machine to do so. 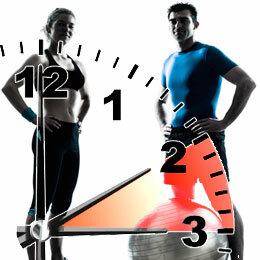 You will also burn more calories using free weights, which encourages faster fat loss. Also known as iso-lateral rows, One-Arm Bent Over Rows are one of the best horizontal pulling back exercises, effectively involving mid-back muscles such as the rhomboids which are super important for posture. To perform Bent Over Rows, place a dumbbell alongside a straight weight bench. Place one knee and one hand on the weight bench and the other leg on the ground behind your dumbbell. Grasping the dumbbell in your free hand, pull it straight up toward your shoulder, allowing a slight natural torso rotation at the top. Slowly lower the dumbbell back to the starting position. Aim for 12-20 reps for each side of your body. Remember to focus on your form, maintaining a flat, neutral spine by engaging your core muscles. Supine Rows are another excellent horizontal pulling back exercise. You only need your body weight and something low and stable you can wrap your hands around such power rings, a stable bench press bar or other low bar-like object. This challenging exercise isn’t for everyone, but do give it a try and see if it works for you. Supine refers to the body position in which your back is to the ground and your belly is to the sky. To perform supine rows, you will use only your body weight as resistance as you use your arms and back muscles to pull yourself upward. It’s kind of like the reverse of a push-up. Assume a supine position with your shoulders directly underneath the stable object you will be using. Grasp the bar or rings and pull yourself straight up, bringing your lower chest toward the hand-holds. Keep your body plank-straight just like you do during push-ups, and keep your elbows tight to your sides. Don’t let the core sag or use momentum to get yourself up; the motion should come from the pulling of the back muscles. To begin with, keep your feet on the ground so your body is at a diagonal. To increase the challenge, place your feet on an object which allows your body to be parallel to the ground, such as a weight bench or a stability ball. Perform a set consisting of as many reps as you can do with perfect form. This may be quite a bit lower than the 12-20 range we are going for in all the other exercises due to the challenging nature of Supine Rows. The final best back exercise for women is quite different, requiring neither a horizontal nor a vertical pulling motion. Back extensions work out the erector spinae and other deep spinal muscles, also targeting the glutes and hamstrings. There are many variations on the back extension: I recommend beginning with a Floor Prone Cobra with your belly flat on the floor for a few weeks to ensure core stabilization before moving on to a Stability Ball Back Extension, then finally a back extension in a Roman Chair. The importance of core stability cannot be overemphasized, especially when you’re working out your back and lower back. If you perform back exercises such as the back extension at too advanced of a level, you are basically begging for injury. That being said, starting with a Prone Cobra back extension on the floor is very safe for most people unless you have serious back issues. To perform a Floor Prone Cobra, lie flat on your belly with your arms at your sides, palms up. Using your deep back muscles, peel your chest off the floor while keeping your feet down. As you rise, rotate your hands outward into a thumbs up position. Keep your glutes contracted to help support your back. Hold for a few beats before lowering back down. Repeat several times until your muscles begin to feel fatigued. If the Floor Prone Cobra is easy for you and doesn’t trigger any back issues, try a back extension on a stability ball to further challenge yourself. The motions are very similar to the version on the floor we just went over. Once your deep back muscles become stronger and more stable, you can progress to a Roman Chair Back Extension if you like. This excellent exercise allows you a greater range of motion than either the Floor Cobra or the Stability Ball Back Extension, meaning it’s more challenging for your muscles. When you perform a Roman Chair Back Extension, be sure to keep your core tight and your glutes contracted to protect your spine. If your back is crazy-strong, you can add resistance by holding a weight plate to your chest, but don’t try that until you have mastered all the basic versions of the back extension exercise. Watch the video on the right to see what a Roman Chair Back Extension should look like. You can also perform this exercise with your feet at a lower angle if the equipment is adjustable. Mae Barraclough, B.S., NASM-CPT, NASM-CES is a certified personal trainer, corrective exercise specialist, and licensed Zumba Instructor. With her passion for health, fitness, and dance, Mae loves learning all she can and sharing her knowledge with others. Disclaimer: The views of the author are his or her own, and do not necessarily reflect the opinions of Ask The Trainer. Did you enjoy reading my article? Please rate it below! Join over 18,000 subscribers and receive the "How to Boost Your Metabolism" eGuide as a FREE gift!